Godolphin homebred Kentucky Wildcat made a big move around the far turn to wind up second in Saturday's G3 Sam F. Davis Stakes at Tampa Bay Downs, but the 3-year-old son of Tapit was pulled up and vanned off the racetrack after the finish. According to the Daily Racing Form's Marty McGee, the colt suffered a “non-life-threatening injury to his right foreleg.” He is expected to undergo surgery to repair the condylar fracture in Ocala in the next several days, but is no longer on the Kentucky Derby trail. Out of two-time Grade 1 winning millionaire Better Lucky (Ghostzapper), Kentucky Wildcat required three starts to break his maiden, and the Davis was his first start of 2018. The colt is conditioned by Tom Albertrani. 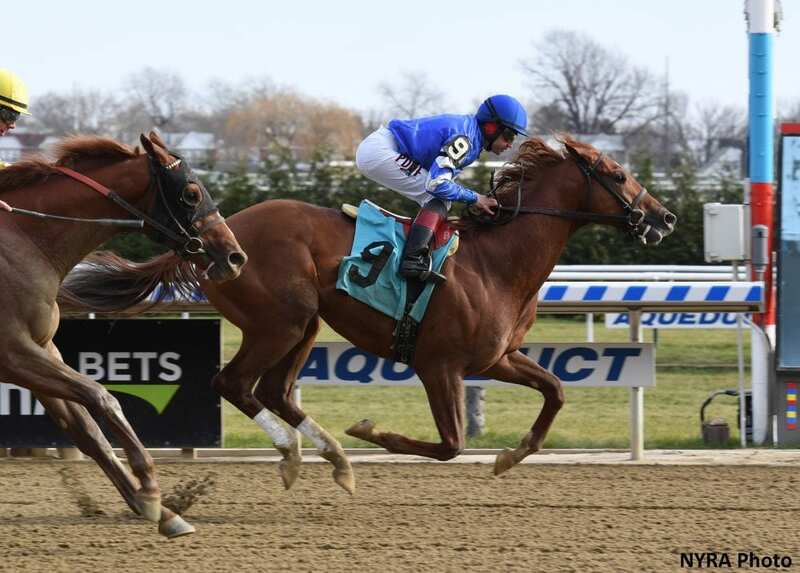 This entry was posted in NL List, Triple Crown and tagged Better Lucky, condylar fracture, ghostzapper, Godolphin, Kentucky Wildcat, Marty McGee, road to the kentucky derby, sam davis, Sam F. Davis Stakes, tapit by Paulick Report Staff. Bookmark the permalink.